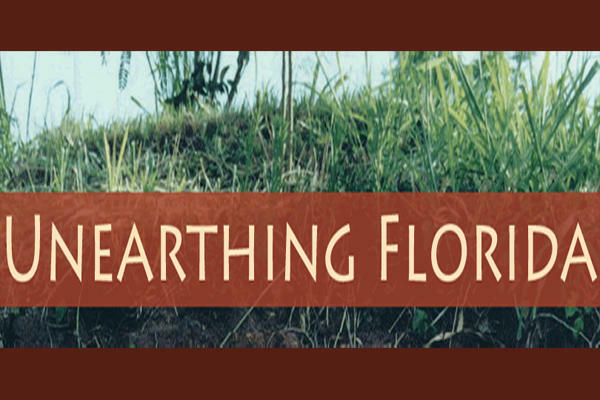 Unearthing Florida is a project of WUWF Public Media, the Florida Public Archaeology Network (FPAN), and its founder, Dr. Judith Bense. Bense currently serves as the President of the University of West Florida in Pensacola where FPAN is headquartered. Unearthing Florida is a radio program designed to enhance the public’s understanding of Florida’s archaeological heritage by highlighting the activities of FPAN’s eight regional research centers. Unearthing Florida represents the next generation of programs, exploring geographical areas of interest to all Floridians. Dr. Bense lent her voice and expertise as a terrestrial archaeologist for Unearthing Pensacola (on the air since 1998), and serves as narrator of the new statewide series. WUWF News Director Sandra Averhart is Executive Producer.